Nicaragua has not always been the easiest country to get to. The tourist boom over the past dozen years or so has made things much better, though. More airlines from an increasing variety of destinations are opening up routes into and out of the country. 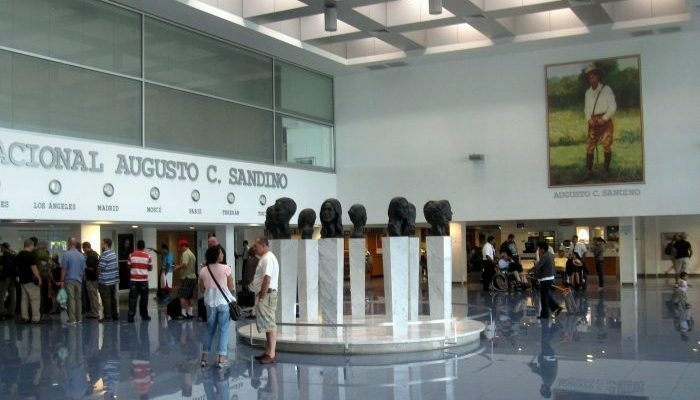 There is only one major international airport, Augusto Sandino International Airport (MGA) in Managua. Although it’s an international airport, it’s still very small and one has to walk out onto the runway and climb stairs to board planes rather than go through a tunnel. MGA Airport receives all the Central American airlines, connecting it to other regional cities. It also receives some North American carriers. Major cities from where one can arrive direct into MGA airport right now are Miami, Atlanta, Dallas, New York and Los Angeles. Nicaragua also has a new airstrip called Costa Esmeralda, close to the city of Rivas in the south of the country. Costa Esmeralda receives flights from Costa Rica. Another popular option, especially for people interested in visiting the beach resorts and towns in the south of Nicaragua, is to come in and out of Liberia (LIR) Airport in Costa Rica instead. It’s situated a little less than an hour from the frontier and has more international options than MGA. It’s a great alternative to arriving in Managua. Costa Rica to the south and Honduras to the north are the two countries that share a land border with Nicaragua. The Peñas Blancas border with Costa Rica is one of the busiest land borders in the region. It receives thousands of people every day crossing into Nicaragua. Nicaragua and Costa Rica have also recently opened up the Las Tablillas border close to the Nicaraguan city of San Carlos. This is a quiet border for now, but if San Carlos ever gets connected to the rest of the country with better roads, it might become more important. Nicaragua and Honduras share three official border posts. The main one is at El Espino on the Interamerican Highway. This is the most modern border and connects with the northern mountain town of Esteli and onwards to Managua. The two other borders are further to the west, Las Manos and Guasaule, which both connect with the colonial city of Leon. The final way to get into Nicaragua is very rarely used but possible. 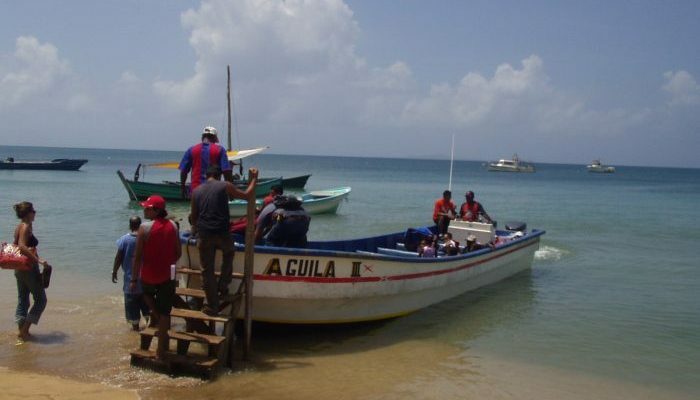 There is a private boat service that crosses the Gulf of Fonseca – a Pacific Ocean inlet in Nicaragua’s far northwest – from El Salvador. The boat arrives and departs from the port village of Potosi and it’s touch and go whether there are immigration facilities in town, but sometimes there are. Nicaragua is an easy country to get around. The vast majority of the places where people actually live and work are all within quite a small area. The western coast of Nicaragua, from San Juan del Sur in the south to Leon in the north, is only about three hours driving length to length. This is on straight, flat, half-empty highways. This makes driving a pleasure in Nicaragua for the most part. There is a downside to driving here, though, and that’s the police, especially if you’re in a rental car. Police in Nicaragua are underpaid, and a way to earn money is by stopping foreigners in rental cars. They assume anyone in a rental car is foreign and for the most part, they’re right. They then shake them down by making up some small infringement and offering to not write a ticket in exchange for a “tip”. This is common and can make driving in Nicaragua a pain. 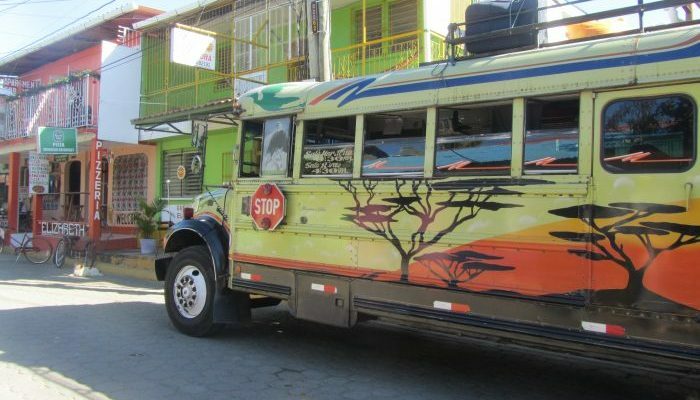 Public transport in Nicaragua is very cheap, if not a little chaotic. Bus stations are generally located on the outskirts of towns. There are no timetables or set departure times – buses leave when they’re full. Once the bus is full – and that means PACKED – the driver will set off and a conductor will come down and collect everyone’s fares. This is the true “chicken bus” experience that many backpackers talk about. People need to be careful on buses too, as they get so packed it’s easy to lose track of your bags, which thieves can take advantage of. For longer distances, Nicaragua has a pretty extensive domestic air network. Flights leave Managua to the Corn Islands, Ometepe Island, San Carlos and many remote places in the eastern expanse of the country. Flights are cheap – no more than $70 or $80 each way, although luggage requirements are strict. Being a country with a huge lake stuck in the middle of it, Nicaragua also has a few ferry services. They crisscross the lake and also serve the island of Ometepe in the middle. These ferries are able to accommodate both vehicles and foot passengers and are very inexpensive. A word of warning – the lake can get very rough from strong winds and seasickness is common. River boats also operate on the Rio San Juan from San Carlos to the Caribbean and in the waterways from Rama to Bluefields in the Caribbean. It’s possible to get a boat or ferry from Bluefields out to the Corn Islands in the Caribbean Sea, too. But the vast majority of people nowadays take planes from Managua. 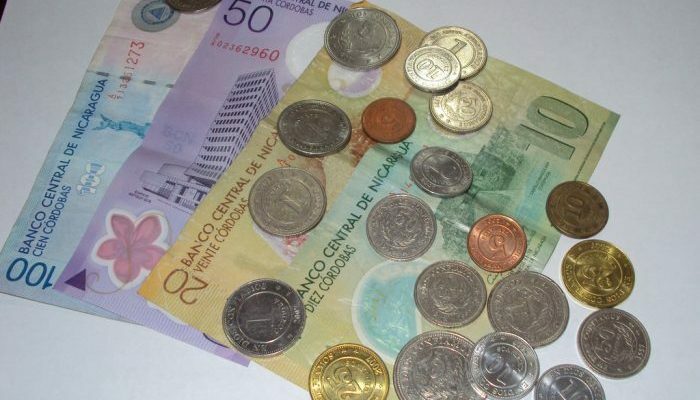 Nicaragua is one of the least expensive countries in Central America. Given the fact that Nicaragua is the poorest country in the region, this comes as no great surprise. Even the more expensive tourist areas and upscale districts of Managua are cheap compared to most parts of North America. Many expats who have been in Costa Rica for years are now moving to Nicaragua to live for less. The rule of thumb is that many things in Nicaragua are about half as cheap as they are in Costa Rica. Groceries and food, especially. When it comes to paying rent, a house that would cost $1,000 a month in Costa Rica might cost $500 or $600 in Nicaragua. To many expats who are struggling with the rising cost of Costa Rica, Nicaragua seems like a no-brainer. Of course, there are fewer amenities in Nicaragua, although in Managua it’s possible to get what you need in any number of places. Outside of Managua, quality healthcare is much harder to find, which is a concern to many. The same things that are expensive elsewhere in Central America – imported luxury goods like cheeses and electronics, for example – are expensive in Nicaragua. But outside of that, it’s possible to live a very good life in the country for anywhere between $1,200 and $2,000 per month. That range will include a nice place to live in a great area, groceries, eating out a couple of times a week, having a car and domestic help. At the lower end, it’s possible to get away with living for under $1,000 per month, and many expats do that. As well as, of course, the vast majority of Nicaraguans themselves. Despite the wars and turmoil that have surrounded Nicaragua, the surprising thing is that it is actually a safe country. It is comparable to its neighbor Costa Rica in terms of general crime statistics. This is notable given the general poverty of Nicaragua compared with Costa Rica. Many in the real estate and tourism industries tout Nicaragua as the “safest country in Central America”. There is a lot of truth to that. At the end of the day, the murder rate in Costa Rica is a little less than that of Nicaragua. That gives Costa Rica the edge out of the two countries. But the fact remains that your chance of becoming a crime statistic in Nicaragua is very low when you think about the region in general. It’s no better or worse than Costa Rica. With this said though, it’s worth noting that there are some dangerous areas. Outside of a few higher-end districts, Managua is not considered a safe city. Much of the Caribbean coast is also dangerous. Nicaragua is still a country where you need to be vigilant and watch yourself to stay safe. Is the chance of being a crime victim low? Yes. But is there a chance? Of course. Nicaragua is a third world country with third world services. The emergency services (police, fire, ambulance) are unreliable and most Nicas have zero faith in them. Driving in Nicaragua is actually good. Most roads are straight, flat and in good condition. There are also very few other cars on the road, excluding major cities. Pedestrians, livestock, bicycles, etc. 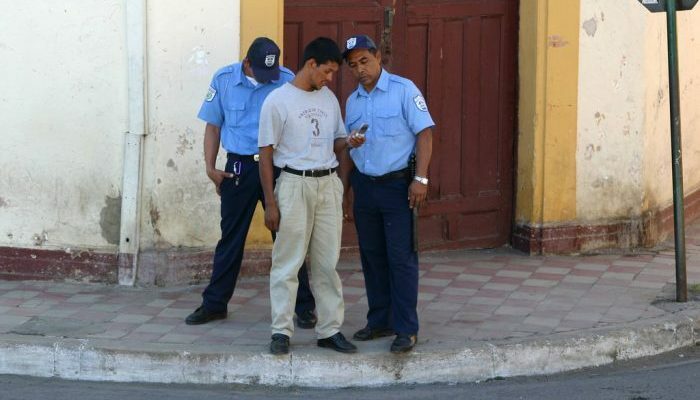 are all over the place and care needs to be taken of them in to have a safe driving experience in Nicaragua. As a tropical country, Nicaragua is also host to tropical diseases such as malaria, dengue, and other mosquito-borne conditions. Outbreaks are rare given the dryness of the country, but they still occur.